The grim irony at the heart of Farhadi's film is that the angst and perplexity are the fruit of a "sacred" republic of ideals. The quiet, staggering power of "A Separation" is in the realization that navigating the politics of government or of family are tasks of equal scale and equally treacherous. Just as nuanced, but with a bigger emotional punch, is the rest of this Rashomon-like tale of right and wrong, life and death, actions and consequences, all of which reveal various particulars of life in Tehran. Writer/director Asghar Farhadi delivers a complex and honest portrayal of two families in modern-day Tehran. It is a challenging and heartbreaking film that deserves an audience. The complexity of the characters is wonderful; as a viewer you in one scene enraged at their actions then following a plot twist in the next scene you are wholeheartedly sympathizing with them. A Separation is a deeply empathetic movie. It feels for all of its characters even as they act in self-serving or self-deceiving ways. A Separation is a movie that keeps expanding, like one of those paper pellets that, when you drop it in water, blossoms into a flower. With "A Separation," Iranian director Asghar Farhadi has managed something increasingly difficult and unusual - pleasing audiences both at home and in the West. A Separation is one of the year's most accomplished films, and like so many films we might characterize as "accomplished," it hasn't garnered actual detractors. It merely fosters a coterie of skeptics. A Separation ends on the perfect note, a nearly impossible decision whose weight is left on our shoulders while the credits roll. Brilliantly [Asghar Farhadi] has posited his questions and dilemmas so that they are open-ended, depending entirely upon what the viewer brings to the table in terms of past experience and personal emotional involvement. 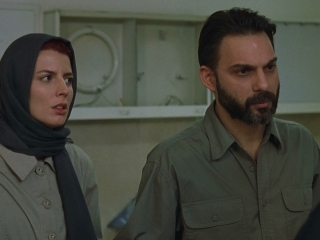 A Separation achieves a delicate balance between the foreign and the familiar. Although its surface impartiality helped the film get past officious censors, underneath is a more complex picture. It's ferociously wise, gripping, unsettling and acted with unerring conviction. As pure entertainment, "A Separation" is flawless. But as social commentary, one could infer a conservative agenda. You cannot watch the film without feeling kinship with the characters and admitting their decency as well as their mistakes. Ambiguous endings can work for some films, but it doesn't here. Still, the powerful performances and near seamless screenplay leave little else to be desired. A Separation deserves its Oscar.